We're patiently waiting for the first snow fall of the Winter here in York, but it's not too soon to start stocking up on cozy items this season with some of our favorites for sale by our vendors. See a quick summary below. Hearty soups to go or to enjoy immediately. They have daily selections like Creamy Tomato and Grilled Cheese and then rotating options daily that you can fine listed on their website here. No better way to warm up then to start your day with a hot breakfast! See their menu for all their offerings! Warm tea fireside? Sign us up! With over 50 flavors of teas, herbs and spices you're sure to find a flavor you like. Soy candles, gifts & bath and body products. 10% of every sale is given each month to a different charity. Elizabeth & West Fashion House specializes in contemporary, trendy, and one of a kind pieces at affordable prices. Wrap up by the fire this winter with these Indian Kantha quilts handmade from vintage sarees. Limited quantities still available. Serving fresh cut fries including bacon & cheddar fries, we like to add some hot sauce to give it a bit of kick! Sure to warm you up on the cold days ahead. Enjoy those long baths with handmade, natural soap just like grandma used to make....almost. Designed for dry, sensitive skin. It smells delicious and is fun to look at! All their favorite holiday scents are now available. Overwhelmed by the thought of cooking for the family this holiday season? Let Central Market vendors take the stress away by being your one stop shop for all your meal needs. Conrad's at Central Market will be selling smoked turkeys for Thanksgiving and Christmas, as well as whole hams. The smoked turkeys are $3.99/lb. 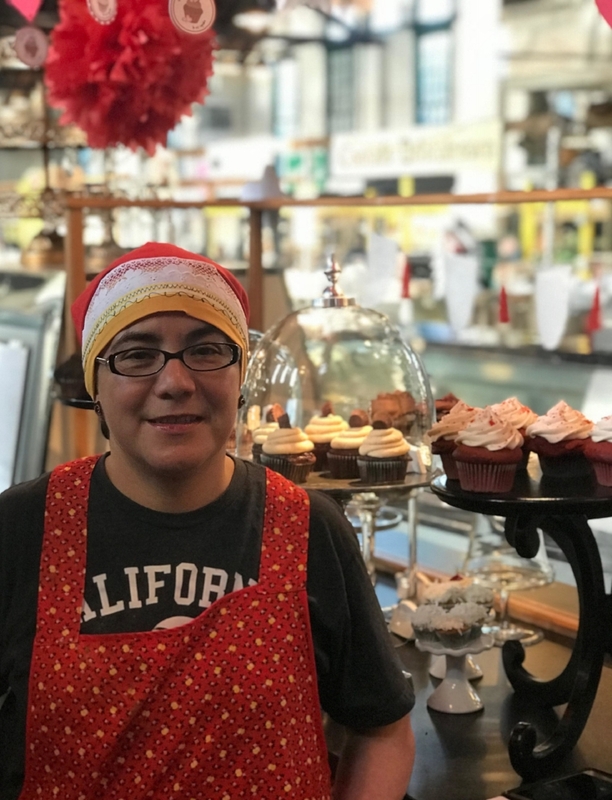 Owner, Gladys Morales, specializes in authentic Puerto Rican Cuisine including pasteles and their signature Coquito cheesecake for the holidays! Coquito cheesecake $15. Pasteles $25. Stop by their stand to order! Free Range Turkey. Raised on pasture, without antibiotics. $4.25/ pound. $20 deposit. Pick up your frozen turkey Saturday, Nov. 18, at Dietz' market stand. Surprise everyone with a tray of Austrian strudels this Thanksgiving! Responsible for desserts this holiday season? Let Copper Crust help! Order your holiday desserts, platters, breads and more today! From pumpkin pies to side dishes, Myers' at Central Market has you covered! Pam and Tom Barto, owners of Barto's Naturals, are celebrating their 1 year anniversary at Central Market this month! They have been in business for 12 years with their stand at Market focusing on teas, herbs, spices and accessories. Barto's is known for their incredibly diverse selection; over 50 varieties each of teas and spices are available at their Market stand. 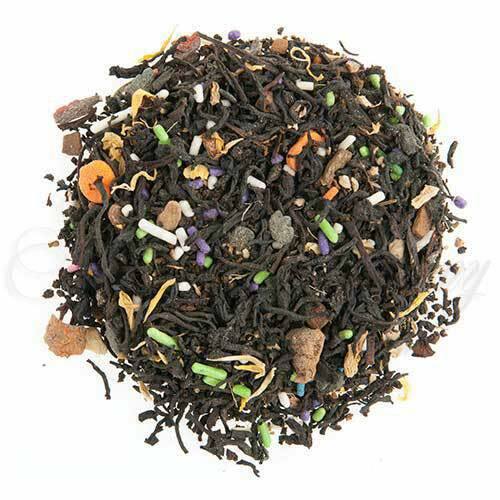 Their best selling item; Bourbon Street Vanilla Tea. Pam and Tom love the products they sell and the fact that both tea and herbs have some medicinal value, and the spices bring out the flavor in the foods purchased at nearby stands. Next time you stop by their stand say hello and pick up one of their favorite teas, Rooibos. Rooibos tea is a very fine (in texture) tea that only grows in South Africa and is naturally decaffeinated. The people of South Africa call it “heart tea” and take it medicinally for heart ailment. It has high levels of antioxidant, making it heart healthy.